The second Annual National HR Standards Conference on 28 August in Sandton was a reminder of the heritage of the HR profession in Heritage Month – the national HR standards as our legacy for the next generation of HR professionals. It is one thing to admit our shortcomings, but more importantly a bold step in the right direction to turn inconsistency and chaos around into a new framework of excellence in practice. The field of Human Resources (HR) has evolved in recent years, so much so that all South African universities now offer HR qualifications. Business leaders have realised that people are one of the most important aspects of a company, and effective HR management is of utmost importance for the growth and survival of an organisation. Coupled with the King III Code on Governance and the emphasis on the triple-bottom-line, the new integrated reporting framework also puts the spotlight on environmental and social performance, including people. Be that as it may, not all directors are satisfied with the quality of HR work in their companies. The absence of clear standards exacerbates the problem. With the launch of the third phase of the National HR Standards, HR has risen to the level of other professions as far as standards are concerned. There were clear standards for accounting, engineering and other professions, but the same could not be said of HR. Accountants present their companies and clients with a consistent approach to the financial aspects of a company. For example, financial statements are done in the same way, no matter the type of company or industry, and this consistent approach is prevalent throughout South Africa. However, there are many inconsistencies in the standard of HR work within organisations, between companies, within and across sectors, and nationally. These inconsistencies are based on a variance in standards at best, and the absence of standards at worst. This results in poor people management practices at most organisations costing them dearly, despite some pockets of excellence at leading companies. The purpose of the HR Standards Initiative is to professionalise the field of HR Management with clear standards of professionalism and thereby reducing inconsistencies and poor HR work. 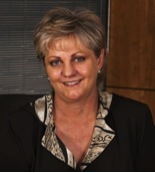 As Jennifer Stephen, HR Manager at Renault SA said: “The creation of HR Standards contributes to the value of HR within an organisation as management can measure against these standards.” Also, the HR standards are focused on ensuring that HR management contributes directly to the achievement of business objectives. This is HR community’s heritage, the celebration of the anniversary of the HR standards, as well as a clear model for auditing the standards. During the consultation process last year, thousands of HR professionals from all nine provinces participated. HR managers from leading companies participated in the process. The final HR standards document was subsequently improved by incorporating the comments from the market. In essence, HR practices such as wellness and diversity programmes are needed to strengthen the HR Management system, and to ensure that the 13 Standards elements are implemented in practice through targeted HR practices. These standards are referred to us HR professional practice standards and include areas such as absenteeism management, employee engagement, dispute resolution and leadership development. Hence, these practices do not duplicate the 13 HR standards elements, rather they strengthen and reinforce the overall system. The HR Management System Standard was developed in 2013, and this year the focus was on the HR professional practice standards. The Professional Practice Standards will also showcase how the HR profession has evolved and matured by developing new standards in areas such as knowledge management, on-boarding, organisation design and employee engagement. Moreover, it will also standardise approaches to current challenges in areas such as absenteeism management, dispute resolution, grievances, performance appraisals and change management. To ensure that HR standards are applied in an effective way, a National HR Auditing framework has been launched on 28 August 2014 to audit companies against the National HR Standards. Therefore, auditing plays a major role to refocus the HR function on gaps identified in the application of the HR standards. More than 50 HR auditors have already been trained as auditors and they are now ready to audit HR functions. If a company is successful in an HR audit, the organisation is certified as compliant with the National HR Management System standard. The auditors will assess and score companies in each one of the 13 standard elements. For instance, an organisation may be good in talent management, but its employment relations may be ineffective, and this weakness may put the overall HR system at risk, and indeed poses a risk to the company on whether business objectives will be achieved. In conclusion, National HR standards have been developed to elevate the standard and significance of HR in organisations. In addition to the overall HR Management system, the specific HR professional practice standards ensure that all specific HR practices are standardised for the purpose of reinforcing the HR Management System. HR functions can now be audited internally and externally against the National HR Standards by the SABPP Audit Unit. This will create a renewed focus on consistency and standardisation of HR practices in support of the National HR Management System, and ensure that HR adds value to organisations. I trust that companies all over South Africa and their HR managers and senior line managers in particular, will leverage this opportunity of delivering high impact HR work to the benefit of their organisations and all its stakeholders. This is our heritage and our responsibility for improving HR practice with auditable HR standards.